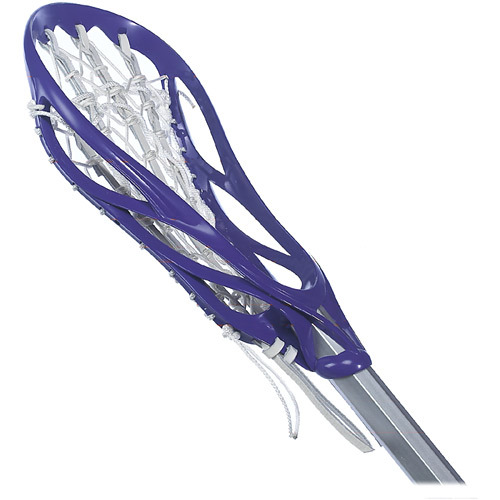 The game of Girls Lacrosse as played in AA County requires the player to have an approved stick, certified goggles and a uniform. For the General's Highway Girls Lacrosse program you order the uniform from us, you can also order the goggles from us, but you are responsible to obtain a stick. Above is a picture of the net end of a GIRLS stick. Note how the net is constructed as this is quite different from a BOYS stick. A stick is typically about three feet long and will probably need to be cut to size using a hacksaw. One of our coaches can do this for you or we can explain to you how to do it yourself. Sticks are available at LAX World and Modells as well as other places. A good beginner stick should cost about $40.00. 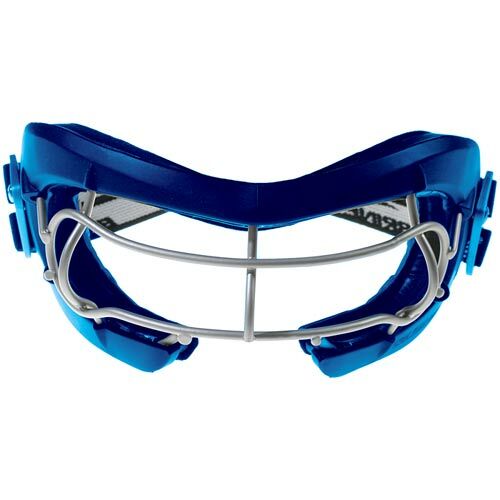 Above is a picture of the Brine Concept goggles. Other types of goggles are available including a type that uses protective lenses. We recommend the open goggles. Also most glasses can fit under most of the open frame goggles. The Brine unit above can accommodate most glasses. Please check with sports store or your eye doctor for more specifics on glasses under the goggles. A player needs to wear the approved uniform during games. This is ordered during registration. If your player played GHAA girls lacrosse last year, at any level, and the uniform still fits you do not need to buy another one.